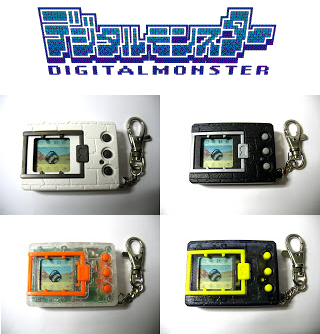 Virtual pet or V-pet is the first Bandai’s Digimon product who inspired by Tamagotchi, first product was launch on 1997, V-pet always launches in two version Japan and English, they slightly different from their keychain. What will then became a TV series, toyline, comics, trading card game, and video games, began as a Tamagotchi for boys (as Bandai was also the creator of the Tamagotchi, which was more appropriate for girls), with the distinctions of being much harder and being able to connect to fight other Digimon v-pets. The game objective of this V-Pet is every owner would start off with a baby Digimon, train it, take care of it, make it evolve and then have battles with other Digimon owners to see whose was stronger. The Digimon pet had several evolution capabilities, so two owners could have wildly different Digimon. Food and strength: When the Digimon’s hunger hearts run out, the call icon lights up. If you don’t feed it for 20 minutes, the call icon goes out again, and that’s a care mistake. The same for strength. However, if BOTH hunger and strength run out, this counts as only one care mistake. And if you leave the Digimon for a few hours before feeding it, and it bleeps again a few times, then even this counts as only one care mistake. To overfeed, stuff the Digimon with food until it won’t eat anymore. It is necessary to wait until it loses a hungering heart before overfeeding it again. Wake the Digimon up by going to the Food menu, training it, or selecting the Battle option. 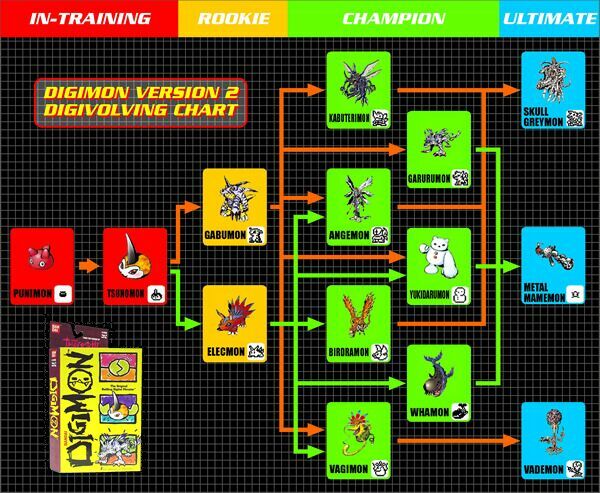 A high win percentage improves the chances of evolution, but battling at both Child and Adult stages are more important.